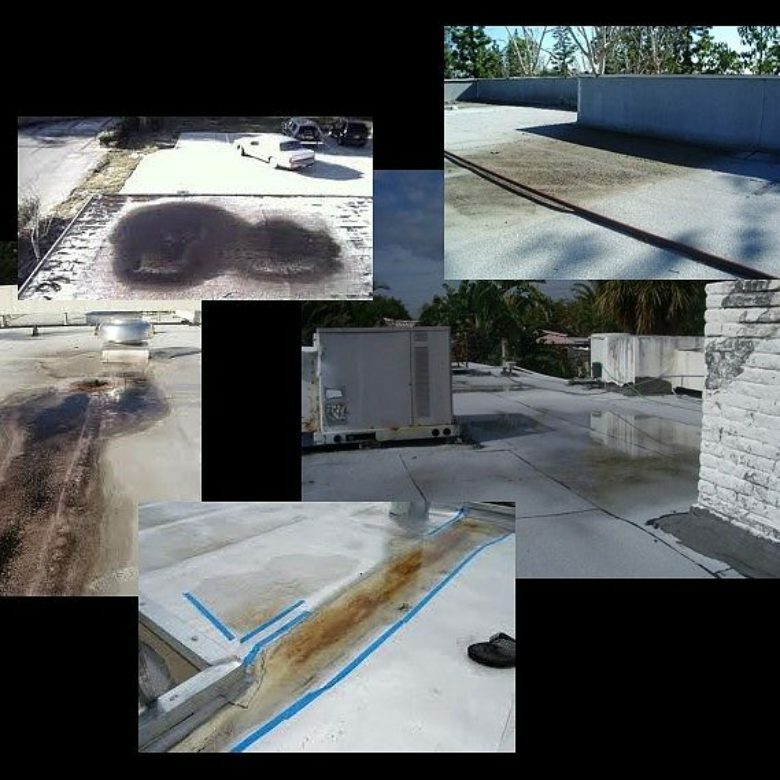 After enjoying a flat roof on your business for years, you’re probably noticing a big problem: Low spots. 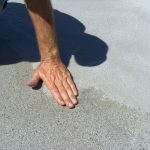 If you’re new to this problem, it means your roof no longer has positive slope to drain standing water from the surface. 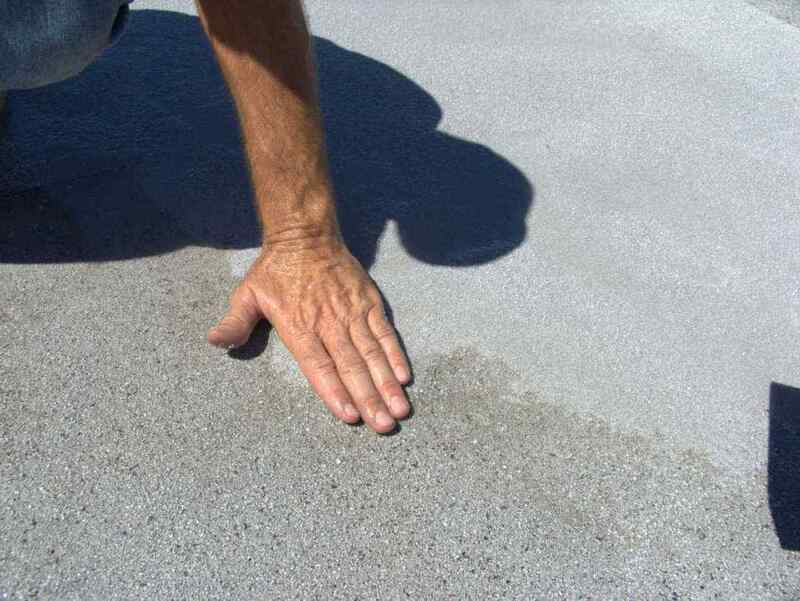 When you start experiencing ponding water issues, the existing membrane or other roofing material you have quickly deteriorates. You want to amend this issue now and not ignore it. Otherwise, once severe leaking starts, the repair bills could start to mount. Filling low spots usually requires a professional roofer to assess damage and use a quality material to fill it in. Yet, how do they estimate the amount of material needed to do the filling? Here’s a look at the process, which ranges from depth measurement to coverage rate requirements. This is something you can do on your own if you feel safe enough walking on your flat roof. If you don’t, always call a professional roofer to do the job since they’ll have proper equipment for a safe inspection. All it takes to analyze a low spot’s depth is a ruler or tape measure. Be sure to measure at the greatest depth of the low spot, which is always in the center. The low spot might have standing water, so set the ruler all the way down to the surface. Your roofer can measure this for you in just a few minutes. As simple as it is, getting the measurement right is essential to assure correct coverage rate of the material. Despite the low spot likely being irregularly shaped, if not circular, you’ll want to measure length and width through an imaginary square. Taking these dimensions and calculating square footage helps achieve a more exact measurement once again. If you don’t trust your measuring devices, then let the roofer calculate this for you. They’ll have the technology to assure it’s right. We’ve written a lot about how important weight is in flat roofs and how dangerous this can become. 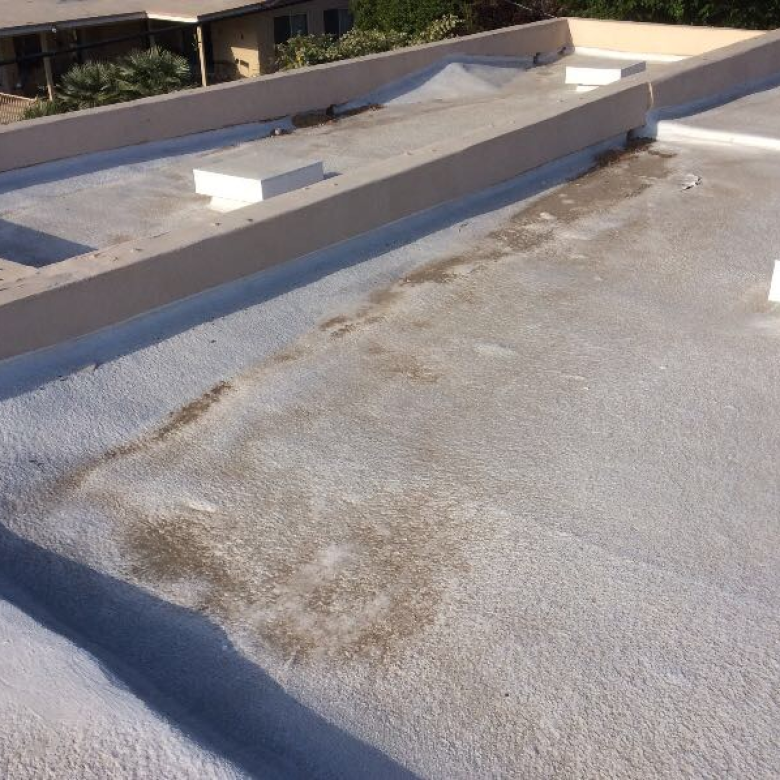 If you already have heavy roofing materials on your building, filling in your low spots needs special consideration. The more weight you add to your roof, the more risk there is for a collapse after an intense rainstorm or snow event. The roofing team you hire to apply the compound needs to show you the exact weight measurements of the product they use. They should give you a product weight chart to demonstrate how much weight the product thickness is going to add. For instance, a 1/4-inch thickness in the compound would add about 2.5 lbs. to your roof. Going up to two inches of material, you’ll add up to 20 lbs., which could be either advantageous or dangerous. No flat roof is alike, and yours might be larger or smaller than the average. You may have just a few low spots within a large space, or a lot of them in a smaller space. In either case, you’ll need to determine your coverage rate for the low spot material. Your roofer should have a chart available to make this clear. Through a 1/4-inch application, this should cover 30 square feet. Two inches of the compound would cover only 3.25 square feet. 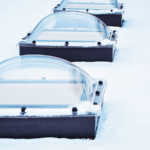 Contact us to find out more about material measurements and how we can help keep your flat roof protected for years to come.